Wow – this Weiss set is absolutely beautiful! 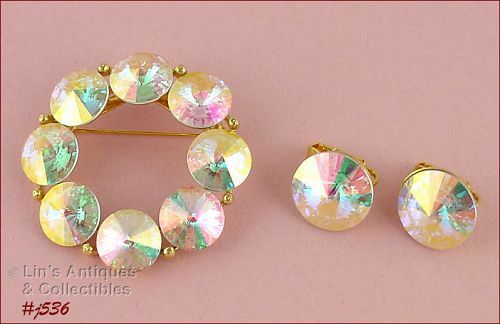 The pin measures 2” diameter and the clip back earrings are ¾” diameter. All are marked Weiss. Spectacular set!